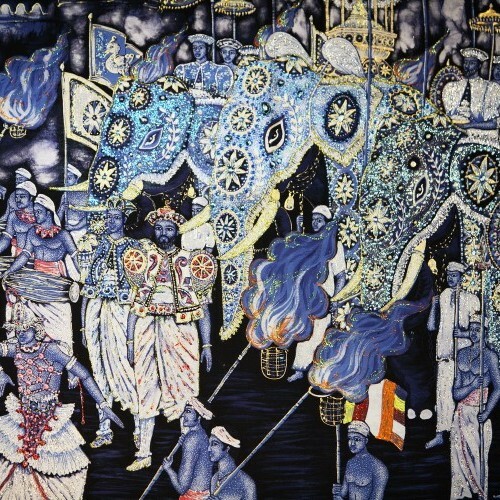 On the edge of the "Kingdom in the Mountains" (Kanda Uda Pasrata), Kandy was the last capital of the Sinhalese monarchy and a testament to the kings as aesthetes in their choice of location. 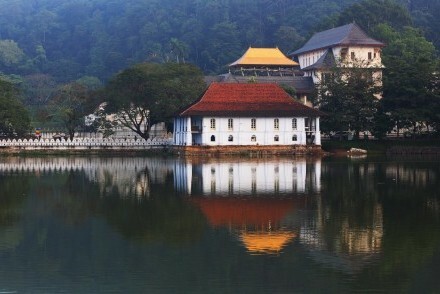 Kandy, or more properly in Sinhalese Maha Nuwara ("Great City"), was founded on a ridge of mountains with dense jungle bordering its gardens, tea estates and paddy fields, and formed around the artificial lake which reflects the sky, with the arc of the royal palace skirting the water's edge. This royal city is also a holy city. Ever since it was founded in the 16th Century, it has housed one of the most sacred relics of Buddhism, a tooth of the Buddha, collected from his funeral pyre. Every day, at dawn, midday and dusk, the reliquary containing the relic is venerated to the sound of drums at the Temple of the Tooth. 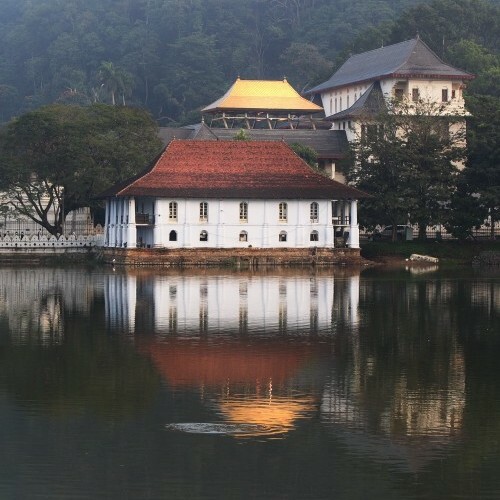 A depository of the last vestiges of Sinhalese royalty, a focal point of worship for Buddhists all over the world and an important centre of monastic tradition, Kandy is still a capital city, despite the creation of Colombo. It is still the custom for the heads of state of Sri Lanka to organise important official ceremonies here and it is here that they make their inaugural speech. In addition, Kandy's great annual festival, the famous Esala Perahera (July/August), which is a parade of elephants in honour of the tooth of the Buddha, is the most spectacular and ornate perahera on the island. 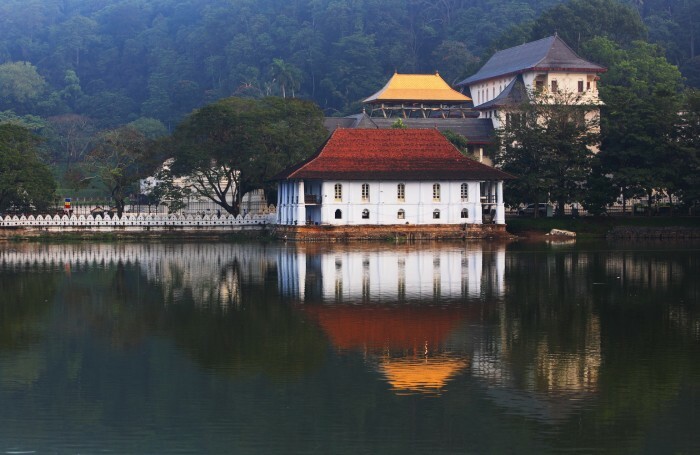 With a picturesque setting around its lake, a rich historical and cultural heritage, good access to the Ancient Cities (Cultural Triangle) and the Hill Country, a pleasant Mediterranean-type climate, and World Heritage Site status, a visit to Kandy is a must for anyone touring the island. Kandy is the perfect size to be explored on foot, the higher altitude making the climate conducive to long and leisurely strolls. The city is visually rich, with narrow streets lined with buildings of character and crowded with people. The Municipal Market has superb displays of fruit and vegetables, textiles and clothing, and the lake provides an attractive focal point. 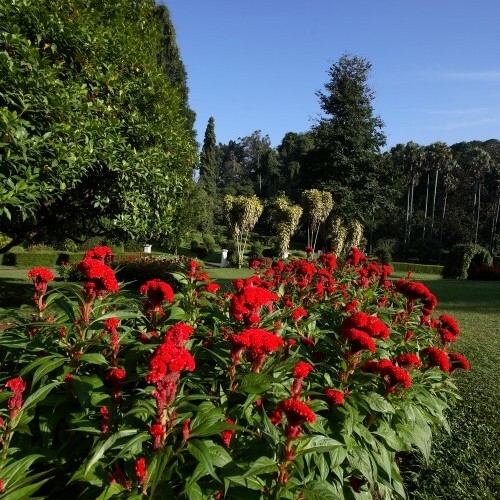 Within easy reach of Kandy are the glorious Peradeniya Botanic Gardens, spice gardens, the Ceylon Tea Museum, and the serene temples of Embekke, Lankathilaka and Gadaladeniya (Three Temples Tour). For those missing their round of golf, there is the Victoria Golf Course, which is an attractive 18-hole golf course about 25 km outside of Kandy surrounded by the Victoria Reservoir and set amidst coconut palms and tropical vegetation. 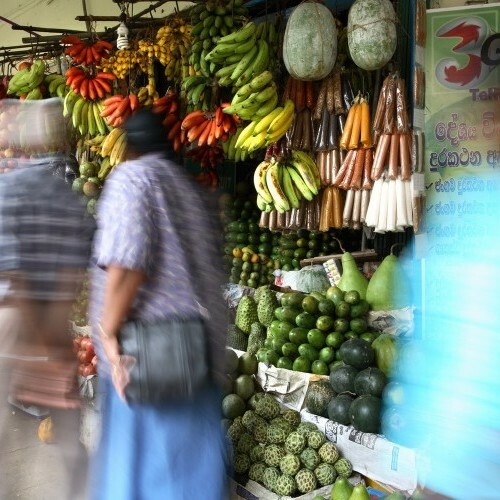 Explore the Cultural Triangle and areas near Kandy. Friendly and welcoming homestay guesthouse offering a comfortable stay in attractive surroundings, an area famous for cultivating some of the first tea grown on the island, with the added benefit of tasty and authentic Sri Lankan home cooking!